Manicouagan Clay, located in the northern part of Canada, is one of the richest in minerals and trace elements in the world. Of the 102 known elements of the earth, we find more than 42 contents in this unique clay. The exceptional clay of Manicouagan finds its origin in the geological past of the boreal region. 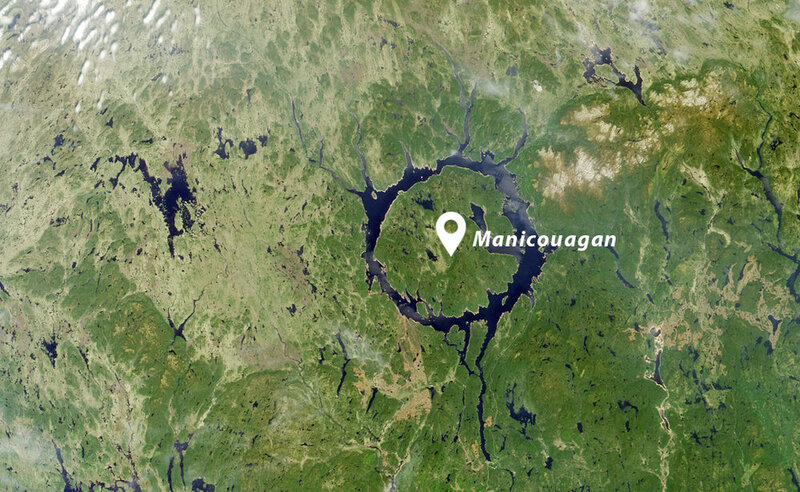 Manicouagan Lake was born first by the impact of a meteorite more than 200 million years ago, which gives it its rounded shape visible from space. The area subsequently passed through 8 periods of glaciation, eventually being covered by the Goldwaith Sea, which retreated about 12,000 years ago. The rich deposits of the sea mixed with soft water, the mineral contribution of magma rock combined with the meteorite, have created a clay unique in the world rich in minerals and oligo-elements, which has known benefits for the skin: revitalizes, regenerates, hydrates, exfoliates, deeply cleans the skin, stimulates blood flow, helps reduce inflammation and helps eliminate toxins. The synergy of the rejuvenative molecules of black spruce, red maple, grey pine and yellow birch added to the incredible richness of Manicouagan clay, combine to create a unique mask that purifies the skin, remineralizes and rejuvenates like no other. The Nordora mask does not dry the skin. To dry skin, it transfers its water, and to oily skin, its ionic activity brings to the surface the oily particles which are thus eliminated with the clay. A true treatment for soft, cleansed, hydrated and revitalized skin. It also has a gentle exfoliating action. For sensitive skin, the mask has a visible exfoliating effect from the second application, while soothing the skin. With the assets of 4 trees to fight the signs of aging, and the clay with 42 oligo-elements of Manicouagan, the Nordora rejuvenating mask offers to your skin all the biovitality of the Canadian nature.